It is really simple to get around in Copenhagen. The city offers excellent public transportation, making it easy to move from one location to another one. As most places are quite close-by each other, you can also just walk through this charming city, promenading through all the pretty streets of Denmark’s capital and enjoy its fine architecture. However, if you want to be like a Dane and feel like a Viking, we recommend to swing on a bike and experience the beauty of this city the pedaling way. The streets of Copenhagen are always bustling with people on bikes and the city’s infrastructure has been made to suit the many two-wheelers. 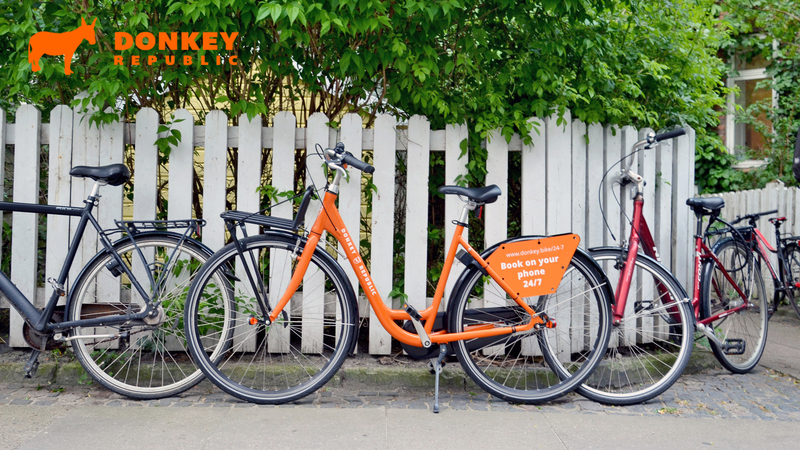 To make it easy for you to get rolling, we have made a deal with the global bike rental company Donkey Republic. Just download the Donkey Republic app and off you go. The app lets you find nearby rental bikes (of which there are plenty in Copenhagen) and book them online 24/7. There is no need for cash, ID, or deposit and you can leave the bike wherever it is convenient for you. You can even profit from the CPH: LX special code. This code allows you to rent a bike for free during the first two hours; afterwards, you pay the normal Donkey Republic rates. Sounds like a good deal, doesn’t it? You will receive this code via e-mail from us before the start of the event. If you prefer public transportation and a bit of walking, the city’s white metro, yellow busses and red S-trains will take you wherever you want to go. Conveniently enough, you can bring your bike on both, the S-trains and the Metro. However, mind that you need a separate ticket to board the Metro with your trusty two-wheeler. You can buy single ride tickets when boarding the bus or at the machines at metro and train stops. Also, don’t forget to check out the tourist options. Google maps and any smartphone map will help you find the easiest route for your adventures. Here is a map with important locations regarding the CPH:LX 2019. We will continuously update the map with important meeting points etc.